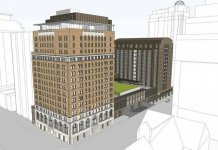 DIAM Developments has cancelled a 10-storey residential building on Danforth Ave. in Toronto “due to unforeseen circumstances outside of DIAM’s control,” reports the Toronto Star via Beach Metro Community News. 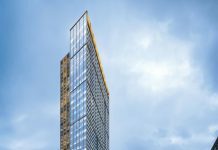 In a statement, DIAM said that unexpected construction delays, cost increases and a construction loan disagreement all contributed to the building’s cancellation. “As a result, the project is no longer financially viable,” the statement said in the statement. “All Agreements of Purchase and Sale will be terminated, and deposits to date will be returned to purchasers,” the statement noted. The proposed condo, On The Danforth, was expected to feature 139 units, and originally had a completion date of 2017.